The best part about the warmer weather is that the lakes have completely thawed. Obviously, this means Dallas is back in the water. Lucky for us, last weekend we found a perfect swimming spot… And it was in the heart of Burnside. Who would have thought? Spectacle Lake Trail is small but mighty. We parked at the end of Spectacle Lake Drive, and followed the crushed gravel trail along the shoreline of Spectacle Lake. There were several boardwalks, and a number of lake access points perfect for those of us with dogs who love to swim. The best part? We only saw one other person the entire time we were there. If you are in search of a quiet spot for a (sneaky) off-leash stroll and swim, Spectacle Lake Park is a great option. 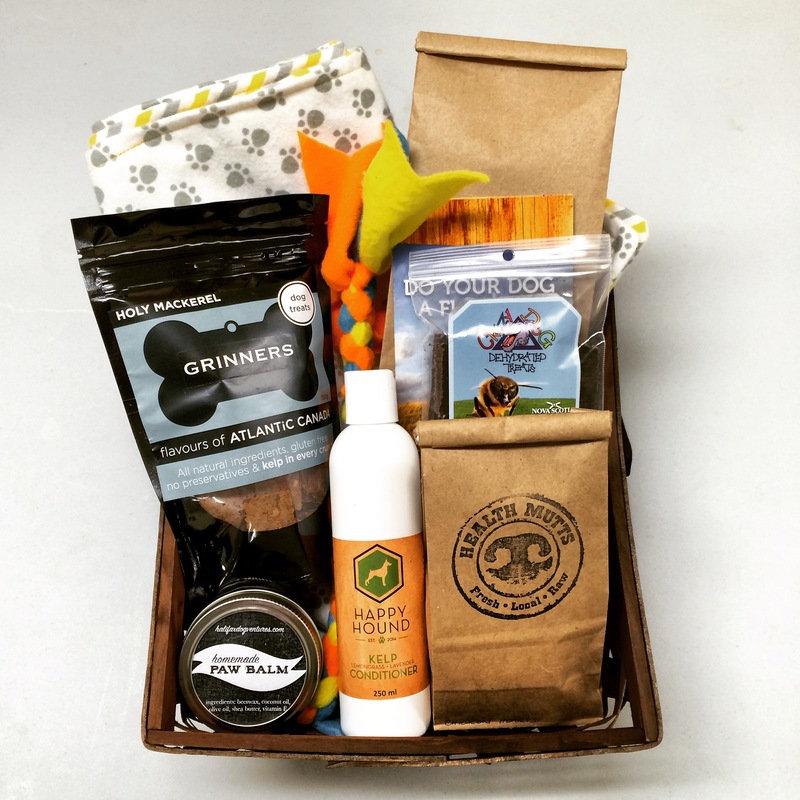 Last week I mentioned that I am putting together a gift basket of locally made dog products for the upcoming ElderDog Dartmouth East Pawd online auction. In addition to the Homemade Paw Balm, I managed to gather quite a few amazing, locally made products, including Happy Hound Kelp Conditioner, Grinners treats, Crazy Dog treats, Health Mutts treats, and an awesome homemade tug toy that I picked up at Global Pet Foods, and now I can’t remember the name… any tips? I would like to give a huge shout out to Health Mutts. I found them at the Halifax Seaport Farmers’ Market a couple of weeks ago, and as soon as I mentioned “ElderDog”, they insisted on giving me a bunch of free product AND a $25 gift certificate for the gift basket. It was totally unexpected and heartwarming. So THANK YOU, Health Mutts. We picked up a couple of bags of Health Mutts treats for Dallas, and she’s hooked. We can’t wait to visit their store in Bedford to get some more fresh, local and obviously delicious treats. Even with all of that awesome stuff, I felt like the gift basket wasn’t quite complete. 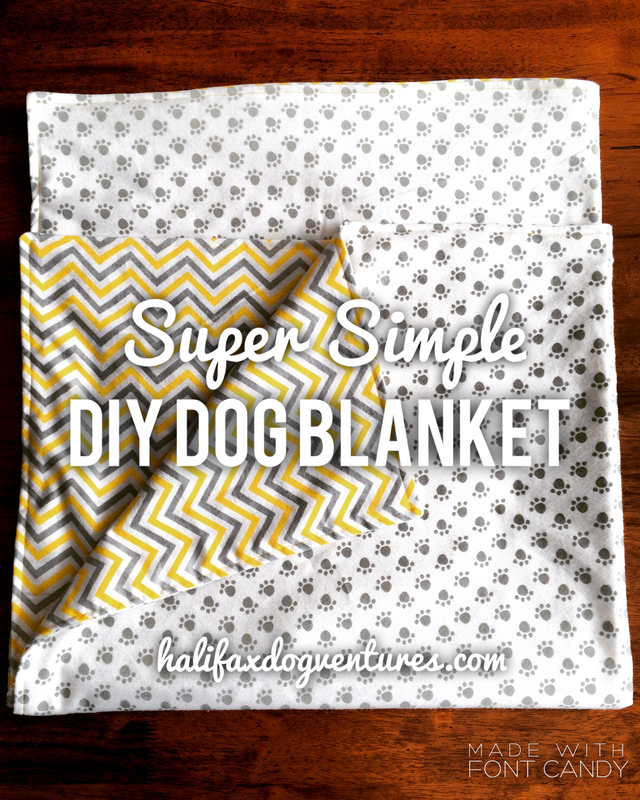 I knew a cozy DIY dog blanket would be the perfect addition. Guys, this thing took less than 45 minutes, start-to-finish, and I think it turned out really well. I thought I would share the instructions with all of you. Here they are. 1. 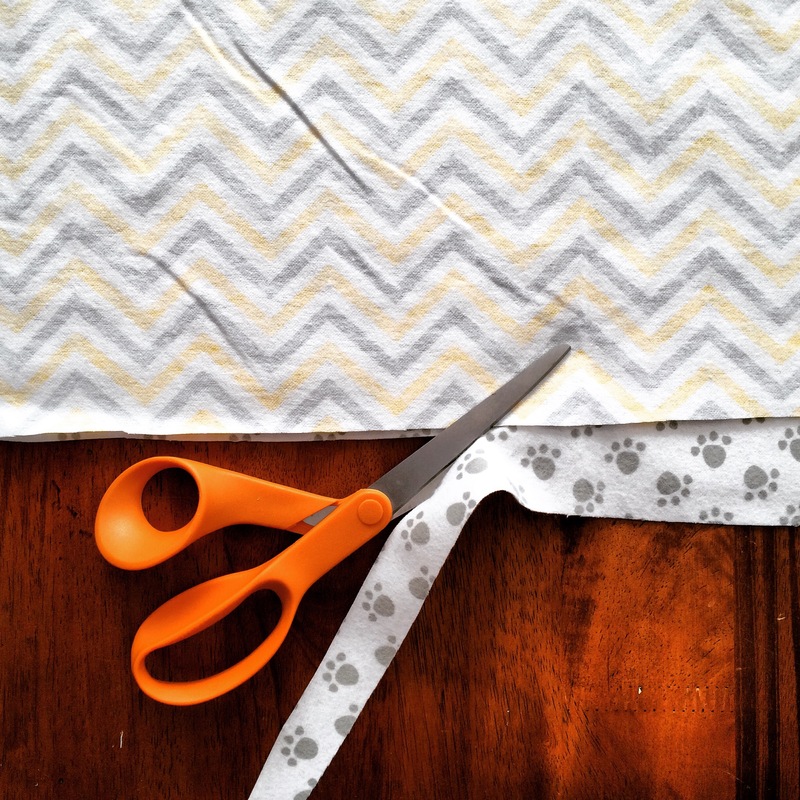 Lay one of the fabrics on a flat surface, right-side-up. Lay the other fabric on top, right-side-down (so the right sides of each fabric are facing each other). 2. 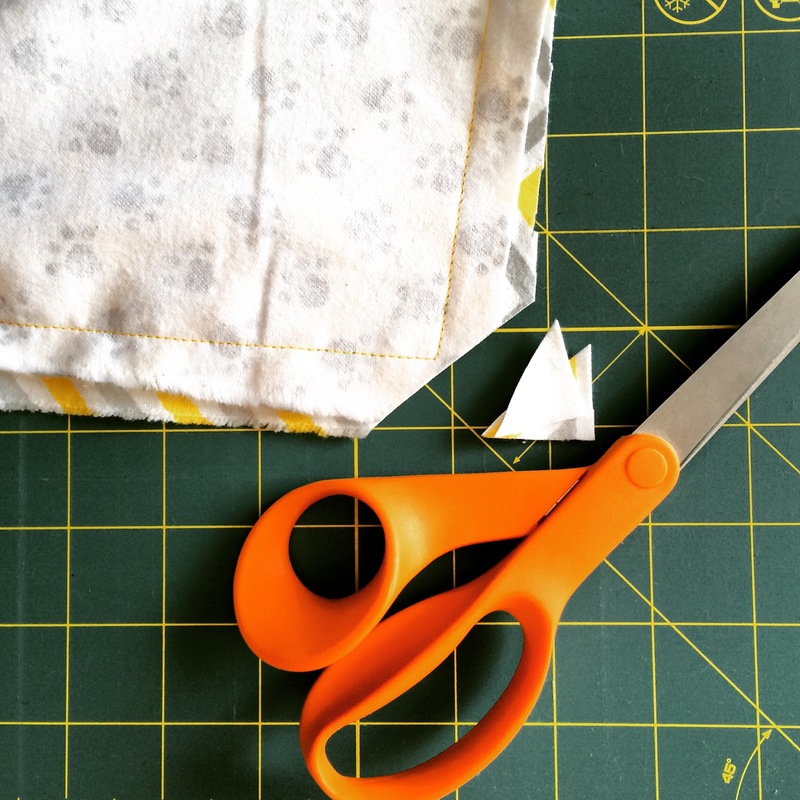 Trim the fabric so both pieces are the same size and they are square. The size doesn’t really matter. To keep it easy, I just purchased one metre of each type of fabric and kept the pieces about that size. 3. 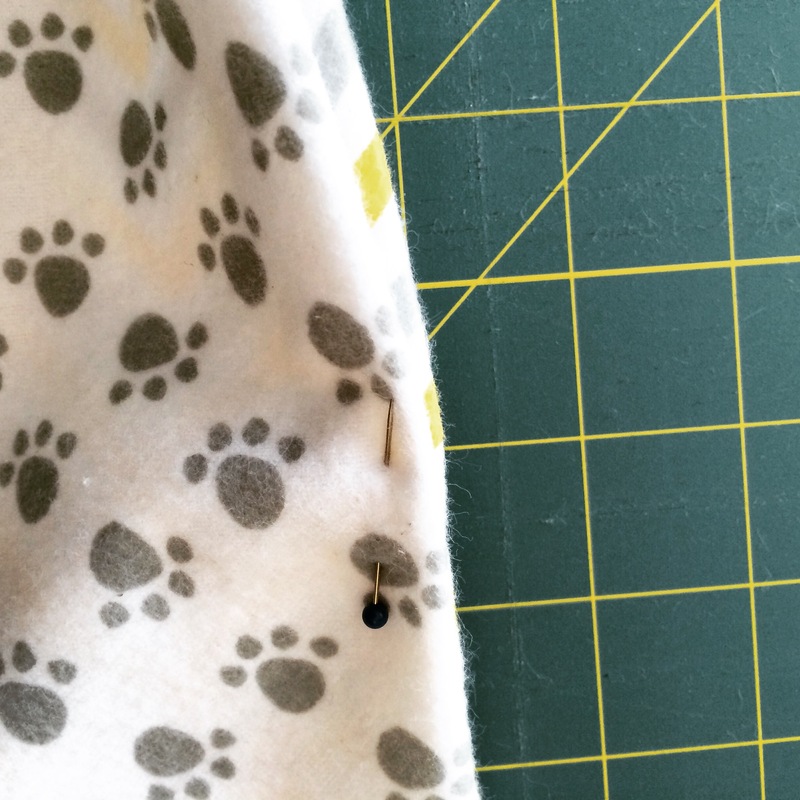 Pin around the edges, spacing the pins no more than six inches apart. 4. Starting in the middle of one side, stitch around the edges, about 3/4-inch from the raw edge of the fabric. 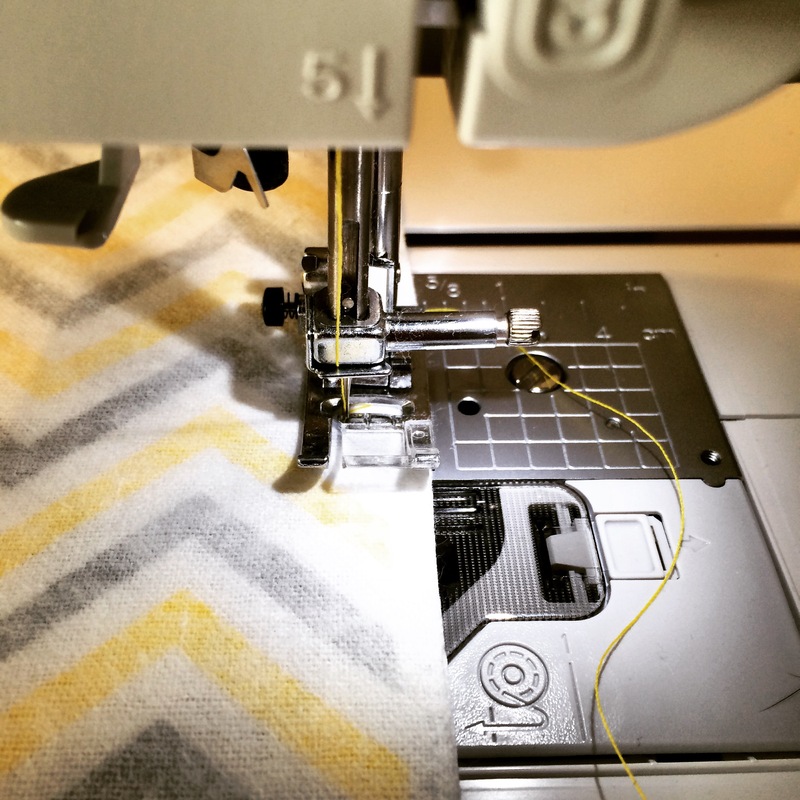 Be sure to do 3-4 backstitches (reverse stitching) whenever you start or end stitching. This will secure the thread. (Tip: I chose a contrasting colour of thread, but if you’re a beginner sewer, choose a thread that closely matches the background colour of your fabric. This will help hide mistakes.) Sew almost all the way around, but not quite. 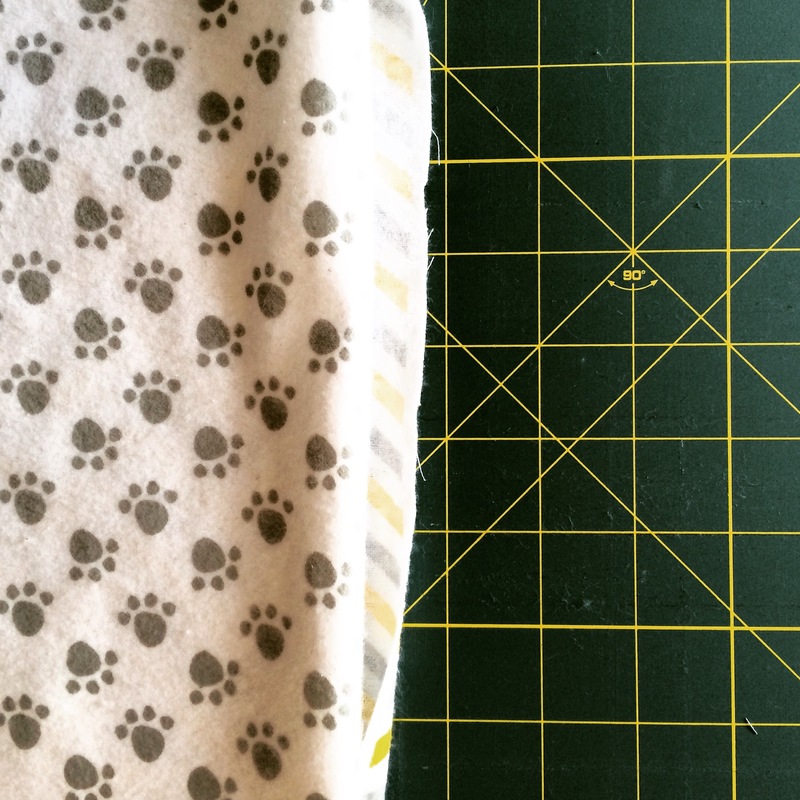 Be sure to stop about eight inches before your starting point (and don’t forget to backstitch). 5. Trim the corners on a diagonal. This will reduce bulk. 6. 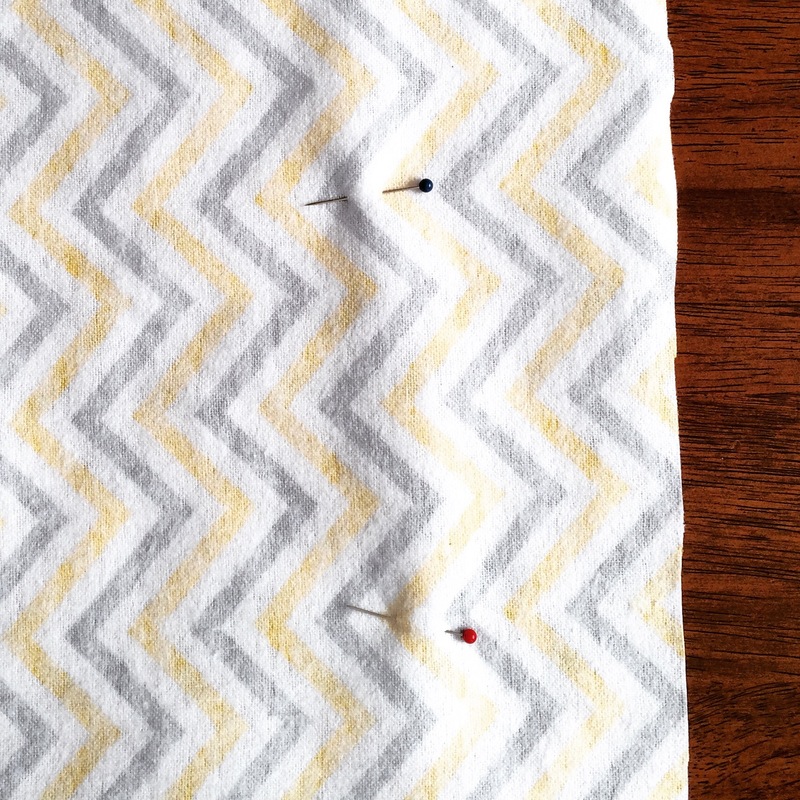 Pull the fabric through your eight-inch hole so that the blanket is right-side-out. 7. 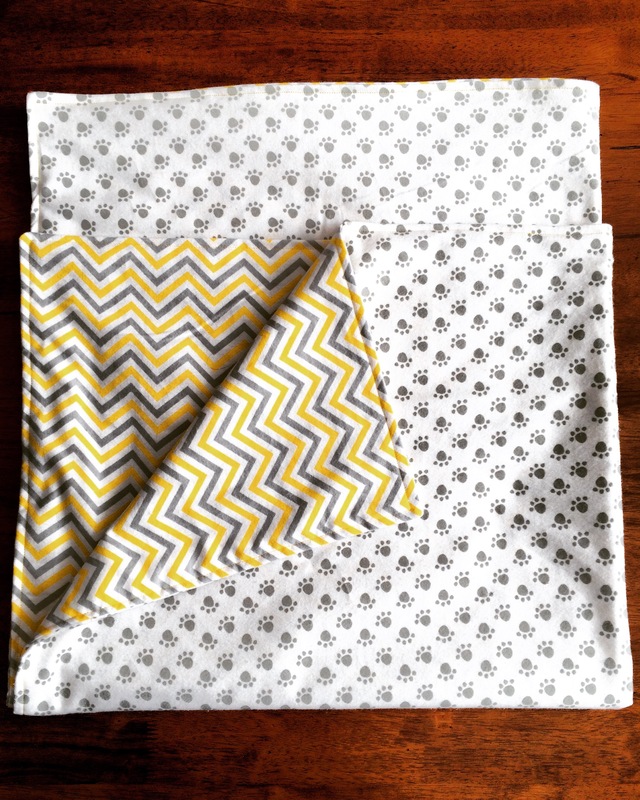 At the eight-inch hole, fold the raw edges inside of the blanket and pin. 8. At this point, you may want to quickly iron the blanket on low heat so the edges lie nice and flat. 9. Once again, stitch all the way around the outside edge of the blanket, about 1/2-inch from the edge. That’s it! 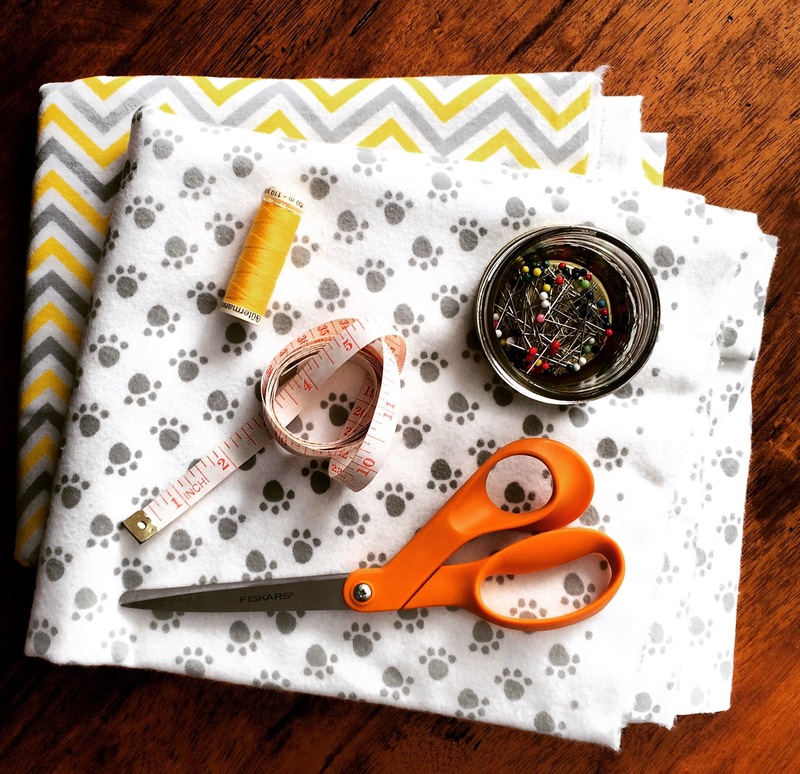 You now have a cozy, custom, reversible DIY Dog Blanket! I almost felt bad giving this one away. 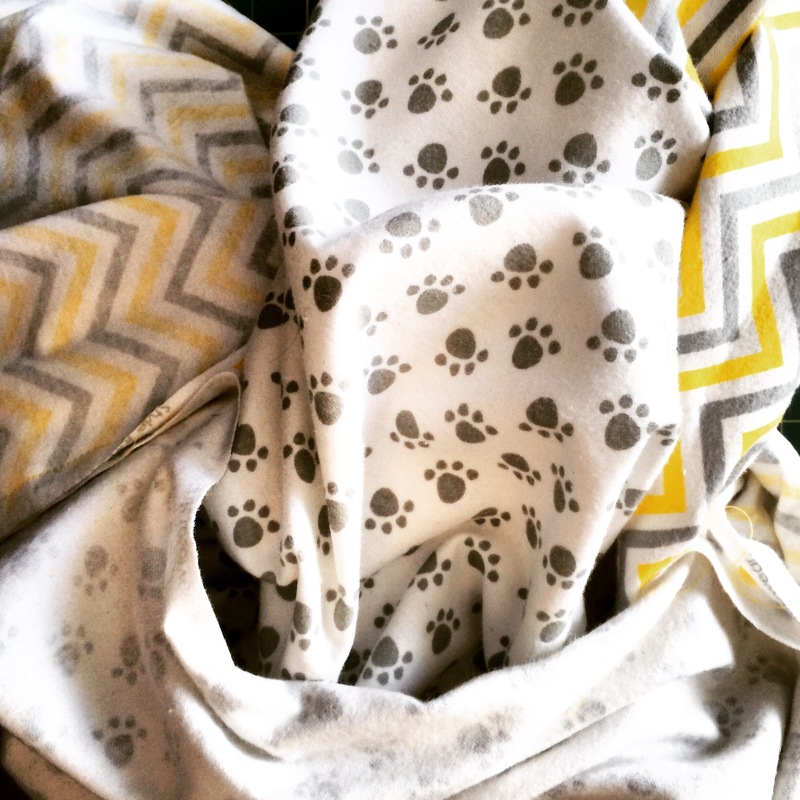 Dallas just loves soft, fleecy blankets, and she didn’t seem to understand when I told her it was going to a good cause… Luckily, this was so easy to make that I will definitely be making more of them soon. I love the quilt!! 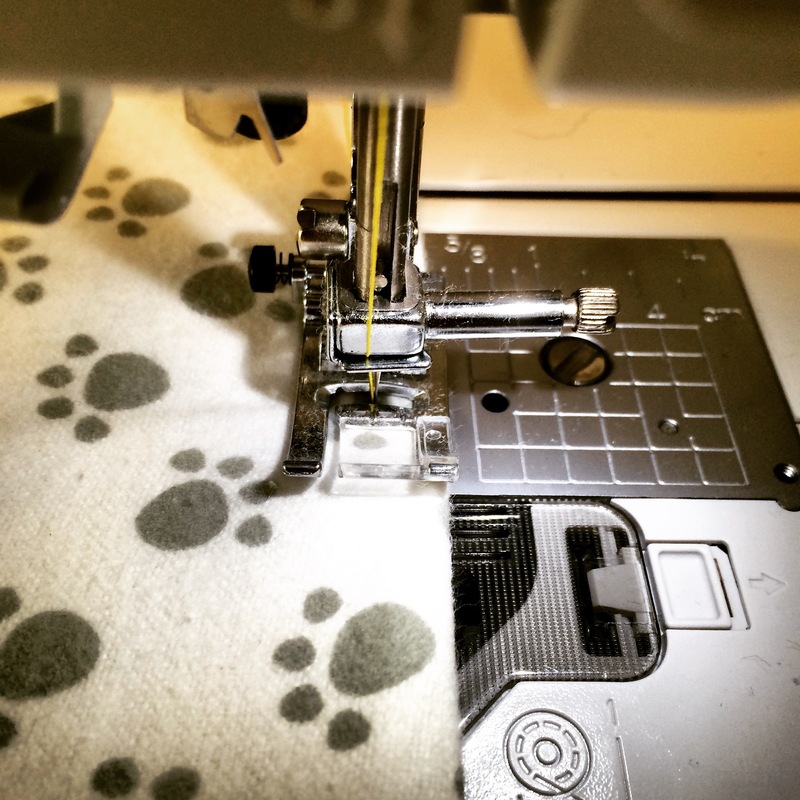 Those fabrics are pawsitvely perfect. Hahaha thanks, Jayme. Dog puns are my favourite. 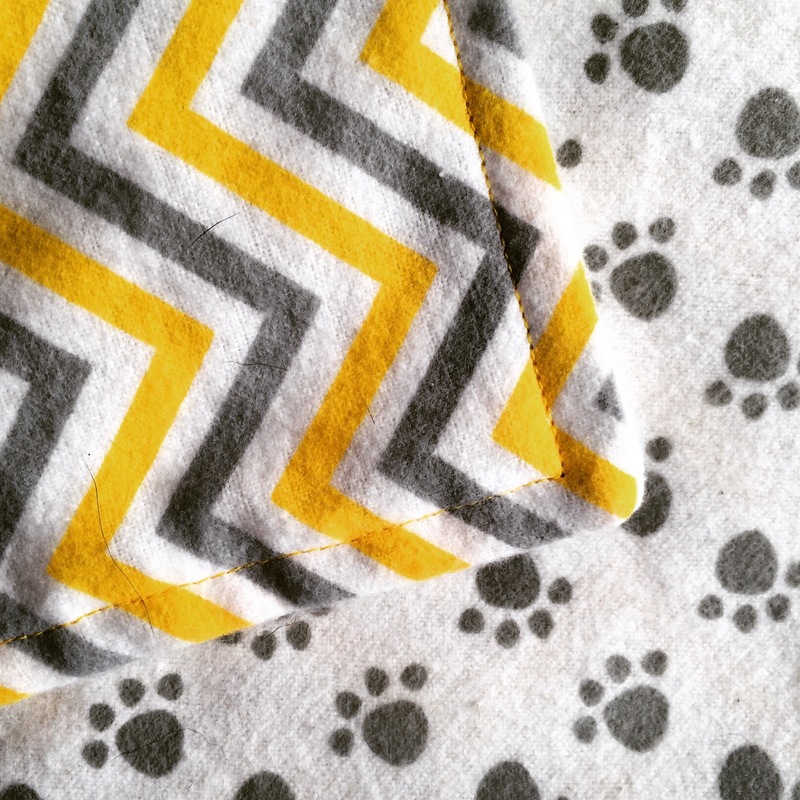 I love this dog blanket idea! Definitely going to keep an eye out for some cute fleece for Henry Pancake- I never thought of making my own! 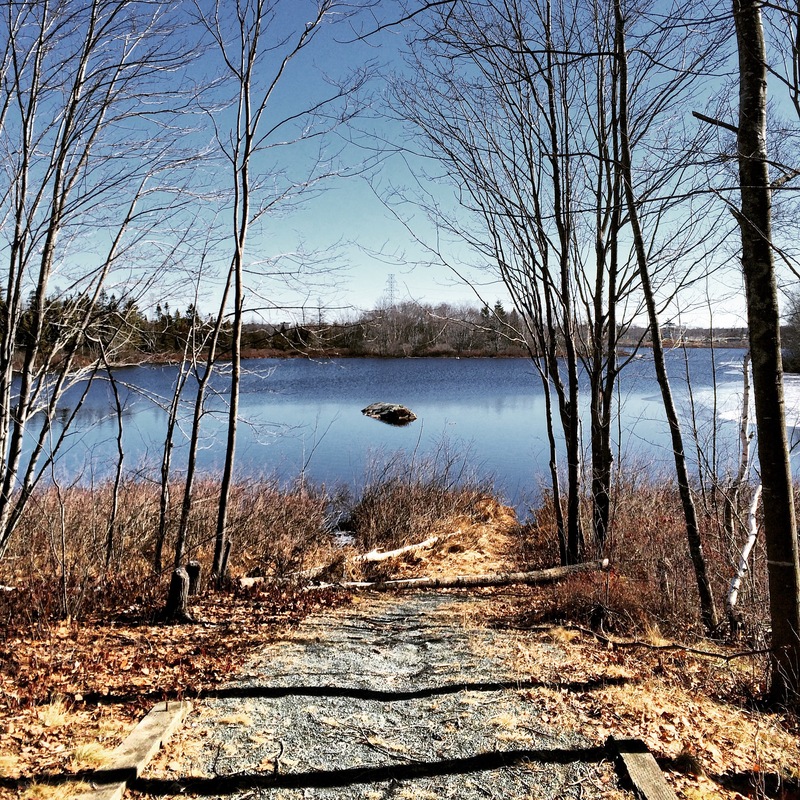 I had no idea about Spectacle Lake trail, my husband works super close to there and this would be awesome for a lunchtime walk with the babes and pup! You rock! Thanks so much, Krystal! Let me know if you find some great fabric. And that sounds like a perfect idea for a lunch break! !